How do I charge my service to a different SpeedType? 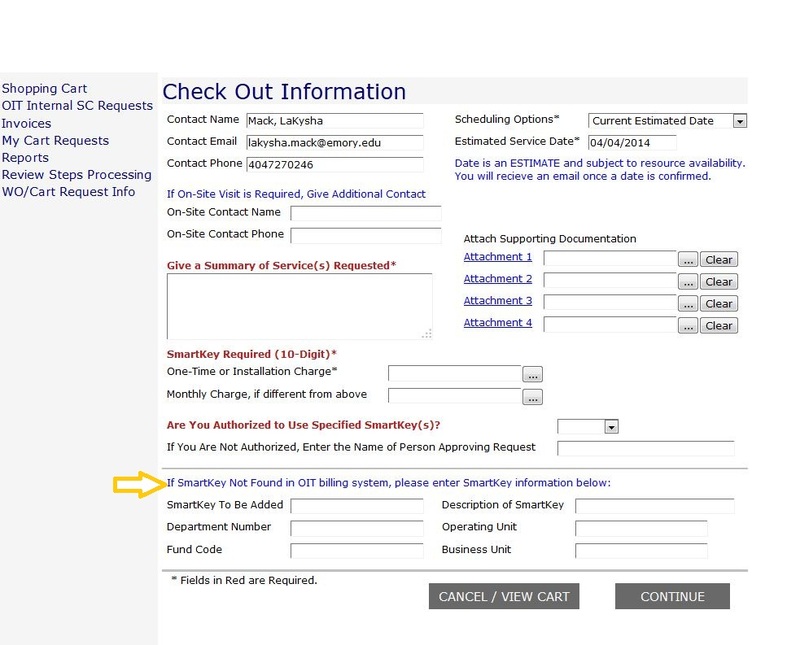 If there is no change in service, please send an email which includes the SpeedType currently being charged, the SpeedType you would like to use and the line/circuit number used to identify your account to LITS-billing@LISTSERV.CC.EMORY.EDU. How do I change a SpeedType on service that does not belong to my department? If you know the correct billing information, please send the SpeedType and contact name for the appropriate department to LITS-billing@LISTSERV.CC.EMORY.EDU. To disconnect a single line select Phone - Disconnect. If multiple lines are in question, select Phone - Other (EC500, Voicemail...) followed by Voice Audit/Consultation to request an audit. Include a note in the comments section stating a technician should verify the owners of the service. To disconnect a single line select Data Network Connections followed by Deactivate Data Jack. If multiple lines are in question, select Data Network Connections followed by Data Audit/Consultation to request an audit. Include a note in the comments section stating a technician should verify the owners of the service. How do I request a new SpeedType be added to the LITS billing system when completing a service request? You may request the addition of a new SpeedType in the OIT shopping cart by completing the appropriate section of the Check Out Information page. How can I get a list of the equipment currently being billed to my SpeedType? To run a Current Equipment report, access the LITS billing portal and complete the following instructions. Please note, the billing portal is only accessible while on campus or by connecting through VPN if off campus. How do I change a name or add voicemail to an extension? To change a name on an extension, select Phone - Other (EC500, Voicemail...) followed by Name Change on Extension. Please include a note in the description stating a technician is not needed. To add voicemail to an extension, select Phone - Other (EC500, Voicemail...) followed by Voicemail Only. Please include a note in the description stating a technician is not needed. How do I get access to invoices and reports? Permission to access invoices and reports is based on access to Compass Reporting as set up by the Controller's Office. Once you have received a confirmation email from the Controller's Office, send an email to LITS-billing@LISTSERV.CC.EMORY.EDU and your access to the OIT Shopping Cart and Billing Portal will be activated. How do I view or download invoices? Permission to access invoices and reports is based on the security profile set up by the Controller's Office. If you do not have access, please refer to the question "How do I get access to invoices and reports?" Select Invoices in the left hand column. Search by GL Number and enter the ten digit smartkey you wish to view in the GL Number field. Click the Get button to retrieve the list of invoices. Once the list appears, double click on the month you wish to view. You can download the invoice by choosing the desired format from the Export Format Type drop down menu and clicking the Export button. Note: To download as an Excel document, choose XLS - Excel(Data Only) as the format then check the Export Page Header & Footer box.